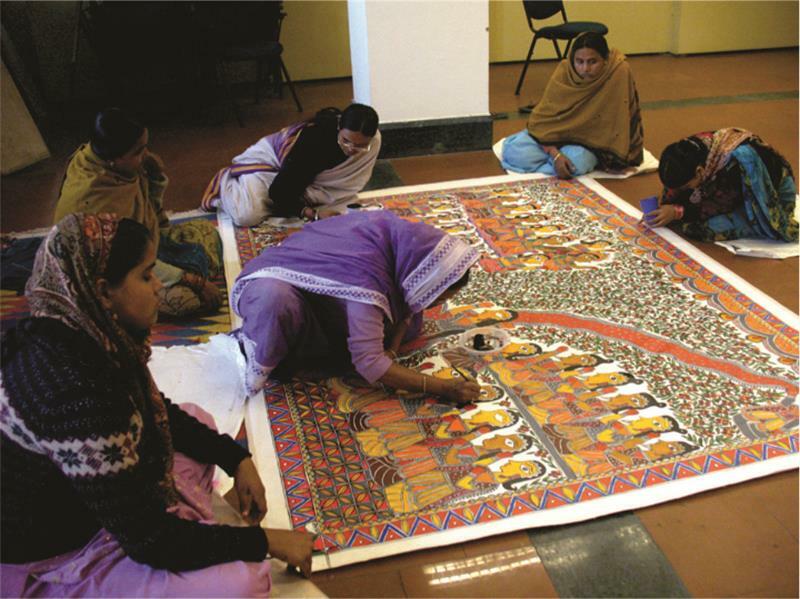 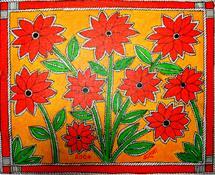 This workshop was a documentation of Mahabharata by women of Mithila--- as it is percieved by women locally. 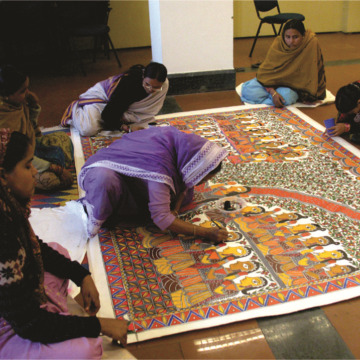 from different villages of madhubani district participated in the workshop. 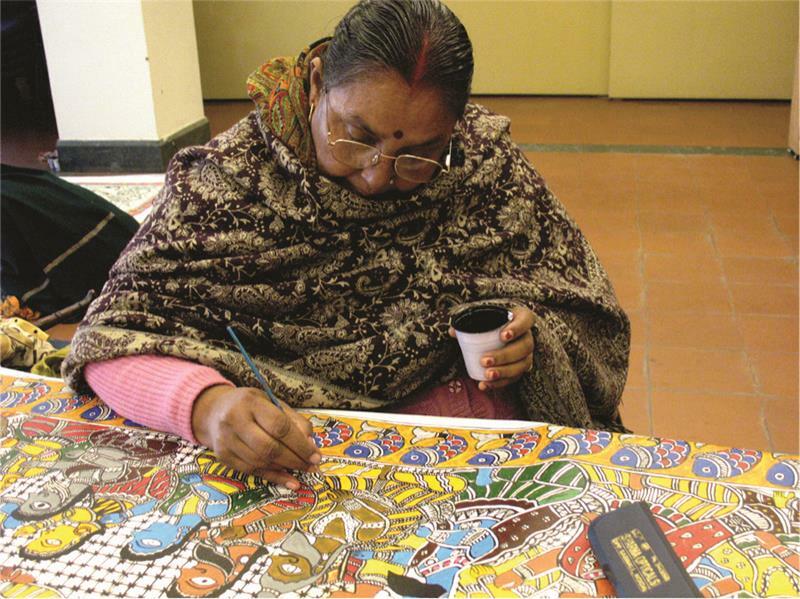 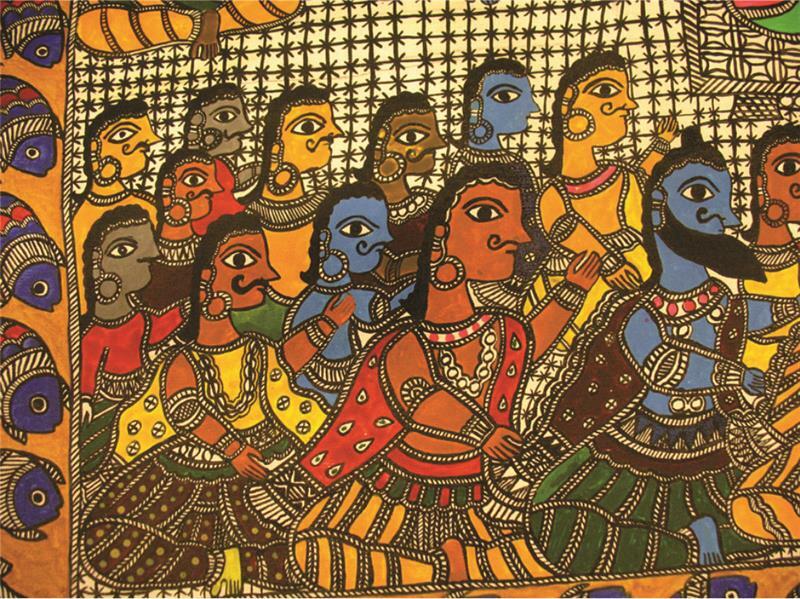 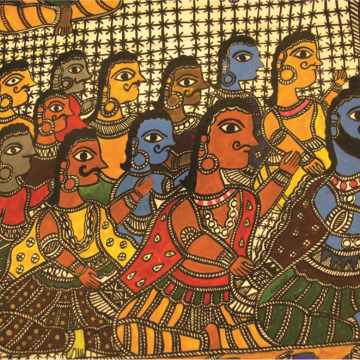 some of the artists were Baua Devi and all her daughters and grand daughters,Bandana jha,Shanti Devi and her daughter, Urmila Devi and her Daughters,Chandrakala Devi, Ruby,Sapna,Vandana Devi,Mamta Jha,Reena Jha,usha,Sumintra Devi and some more.. 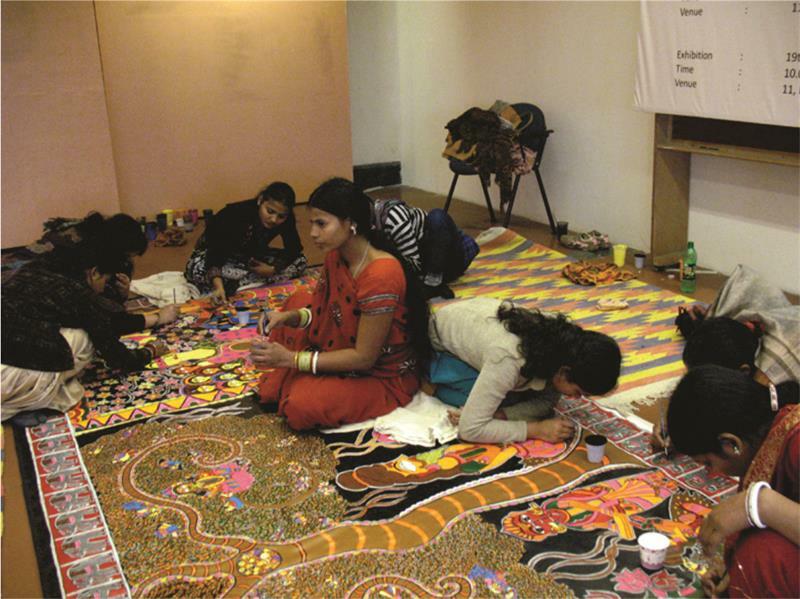 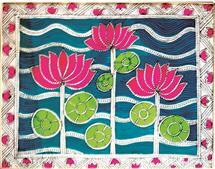 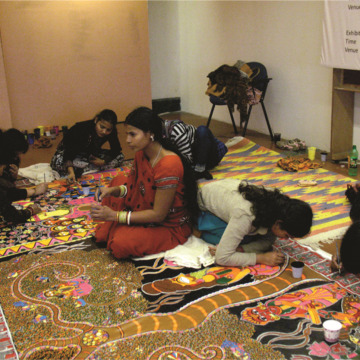 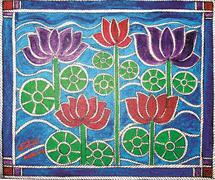 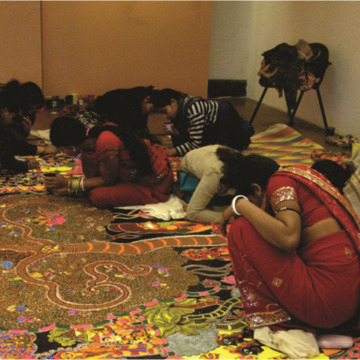 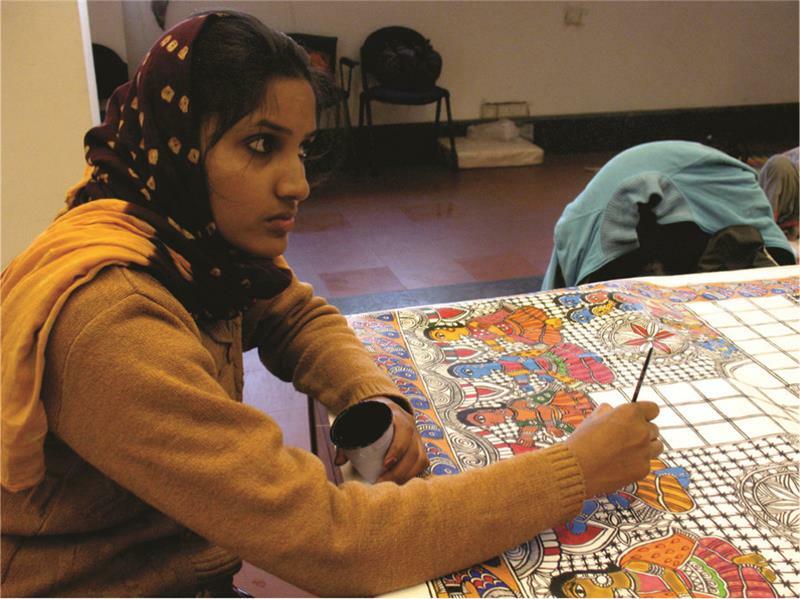 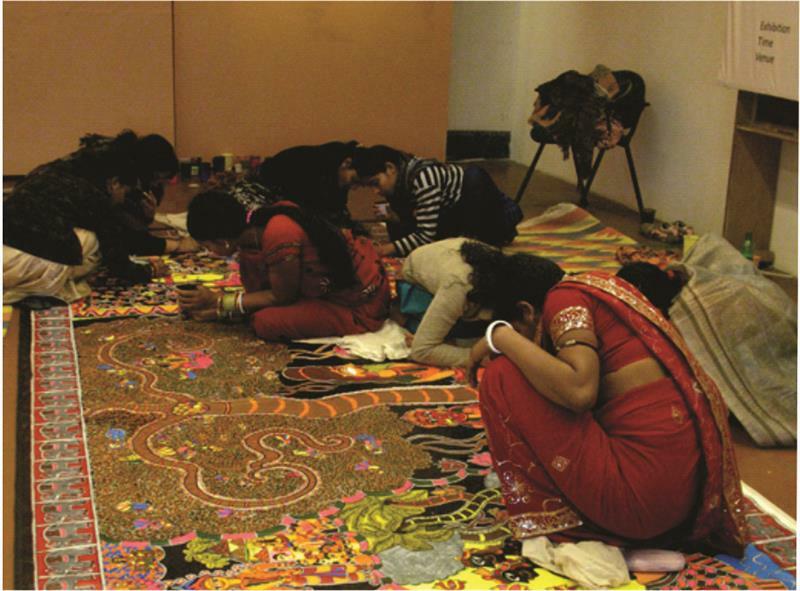 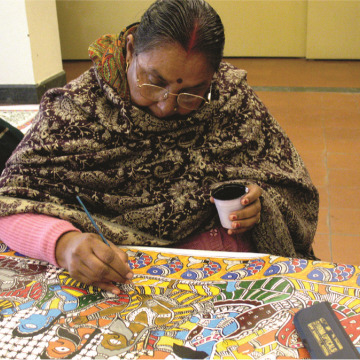 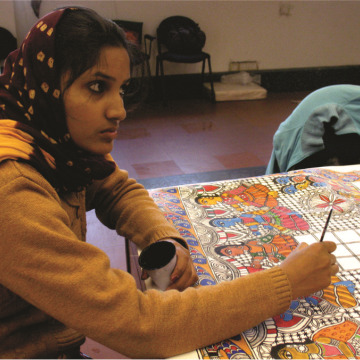 The whole workshop was sponsored by Indira Gandhi National Centre For Arts, New-Delhi.